Resume | Brenda Davis R.D. Lead Nutritionist, Diabetes Wellness Research Project, Canvasback Missions, Majuro, Marshall Islands. Establish a close working relationship with key staff members in the Marshall Islands Ministry of Health. Assist in the building and establishment of the Diabetes Wellness Center. Assist in the design, development and implementation of all aspects of the research project. Develop and implement health education resources, including presentations, interactive workshops, shopping tours and handouts. Develop all menus and recipes or research project and special events. Provide one on one consultation to all research intervention participants and follow up when needed. Oversee all aspects of the diet and nutrition component of the research study. Provide guidance, orientation and counsel to other staff dietitians. Train and supervise kitchen staff – Marshallese and non-Marshallese. Work with MOH staff, providing education and training as needed. Develop intervention schedules, as needed. Assist investigators with research, as needed. Develop and maintain working relationships with government and community leaders, and project partners, including grocery store managers, restaurant owners and chefs and agriculture experts. Position Projects and Manage private practice business. Responsibilities Provide nutrition consultations to corporations and individuals. Author books with US publisher, The Book Publishing Co. and Harper Collins Canada. Lecture to health professionals and general public. Appear on radio, television and other media; answer media enquiries. Responsibilities disease risk reduction and vegetarian nutrition for physicians, dietitians and other health professionals in hospital and university settings, and to the general public. Provide cooking demonstrations and practical diet and nutrition seminars. Respond to media inquiries, providing interviews and appearing on television and radio shows when requested. Assist in planning and preparation of conference and lecture events. Position Projects and Teach basic nutrition to college students. Responsibilities Develop course outline, learning objectives, classroom teaching materials, projects and exams. Position Projects and Co-manage private practice. businesses and the general public. Offer individual and group counseling (specializing in diets for coronary artery disease, obesity, vegetarianism, cancer and diabetes). Provide lectures and workshops for health professionals (physicians, dietitians and nurses) and the general public. Provide continuing nutrition education classes for health professionals and the general public. Offer regular nutrition/cooking classes emphasizing plant-based diets and practical management of hyperlipidemias. Develop educational materials for all projects and programs. Position Projects and Provide nutrition consultation for cardiology patients. Responsibilities Develop nutrition education materials for cardiology patients. Provide group nutrition education classes for cardiology patients. Provide lectures on cardiac nutrition for medical doctors and nurses at annual cardiology conferences in the Vancouver area. 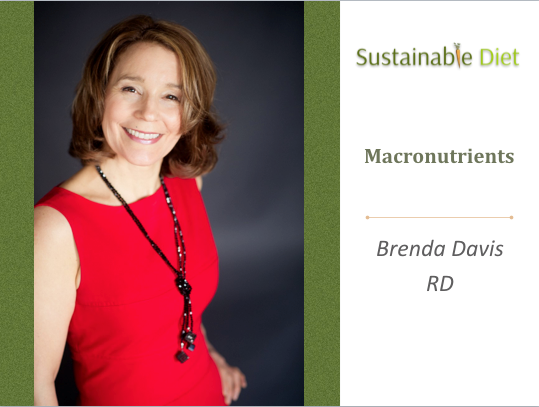 Position Projects and Dean Ornish retreat nutritionist and consultant to PMRI. Responsibilities Serve as a nutrition specialist for retreat participants. Position Responsibilities Direct, plan and evaluate nutrition programs. Provide nutrition education and consultation to agency staff, community professionals, media, schools, recreation and social service agencies, community groups and local consumers. Develop nutrition education materials, techniques, guidelines and policies. Assess the overall nutrition needs of the community and establish priorities and policies to meet those needs. Design, implement, evaluate and modify nutrition programs. Coordinate and conduct diabetes education meetings and workshops. Teach the breastfeeding and nutrition components of the prenatal program. Write a bi-weekly nutrition column for the local newspaper and a nutrition newsletter for district schools. Respond to media inquiries, providing radio and television interviews as needed. Executive Member of B.C. Vegetarian Dietitian’s Group (1993-1996). Consulting Nutritionist to CBC Radio (1984 to present). Leader of Nursing Mothers Group (1987-1990). Applying the Precautionary Principle to Nutrition. (Gonzales J, Barnard N, Jenkins D, Lanou A, Davis B, Saxe G and Levin S.) J Am Coll Nutr. 2014;33(3):239-46. Medical Journal of Australia Open, 1 Supp 2, June 4, 2012. Optimizing Essential Fatty Acids In Vegetarian Diets. Today’s Dietitian lead articles. March 2010. Defeating Diabetes: Lessons from the Marshall Islands. Today’s Dietitian lead article. August 2008. The Complete Vegetarian. (edited by Peggy Carlson – fats chapter by Brenda Davis, University of Illinois Press, 2008). Raw Food Revolution Diet (Soria, Davis and Melina, Book Publishing Co. 2008). Becoming Vegetarian (Melina, Davis and Harrison, Macmillan Canada, 1994; Book Publishing Company, 1995 and Les Editions de L’Homme, 1996. Portugese translation, 1997). Achieving Optimal Essential Fatty Acid Status in Vegetarians: Current Knowledge and Practical Implications, Davis, B and Kris-Etherton P. Am J Clin Nutr. 2003;78(3 Suppl):640S-646S. Plant-based Diet Symposium. Plant-based diets: current state of the evidence. Sutter Health – Mills Peninsula Health Services. Burlingame CA. (Nov. 22, 2014). P-Pod Conference. Plant-based diets and disease; Defeating Diabetes: a story of hope from the Marshall Islands. Asheville NC. (Nov. 14-16, 2014). CHIP Summit North America. Plant-based diets and disease; Paleo diets: facing facts. Loma Linda CA. (Oct. 25-27, 2014). Food as Medicine. Plant-based diets: An Update for Health Professionals. San Francisco. (June 7, 2014). 2014 BC Cardiology Update. Diet in the Prevention and Treatment of Cardiovascular Disease. Kelowna BC. (May 3, 2014). Enhancing Health with Plant-Based Nutrition. Plant-based Diets in the Prevention and Treatment of Chronic Disease. Portland Oregon (2013). Grand Rounds, Kelowna General Hospital. Plant-based Diets in the Prevention and Treatment of Chronic Disease. Kelowna, BC (2013). The 6th Annual Diabetes Management Conference: Upgrade your Clinical Toolbox; Defeating Diabetes: lessons from the Marshall Islands (keynote address). Dallas, Texas (2012). Food as Medicine; Vegetarian, Vegan and Raw Diets. Washington, DC (2012). Federation of European Nutrition Societies (FENS); Designing an Optimal Plant-based Diet. Madrid, Spain (2011). Advanced Study Weekend. Designing Optimal Raw Vegan Diets; Defeating Diabetes Santa Rosa, CA (2011). University of British Columbia. Special Lecture Series – Pharmacology Students. 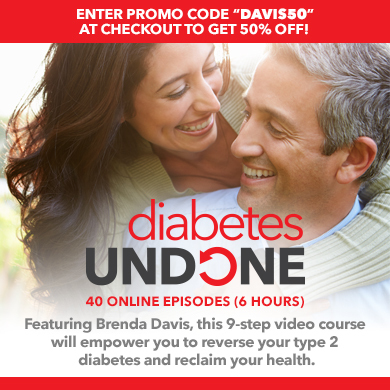 Defeating Diabetes; 5 Simple Steps to Disease Protection. Vancouver, BC (2010). Enhancing Health through Plant-based Nutrition (medical and health professional conference). Portland, Oregon (2010). American Association of Diabetes Educators Annual Meeting. Overcoming the Diabetes Epidemic: A Story of Hope from the Marshall Islands. San Antonio, Texas (2010). Tzu Chi International Medical Association Annual Conference. Defeating Diabetes; Big Blunders. Keynote address. Hualein, Taiwan (2009). 1st Annual Vegetarian Nutrition Conference of Taiwan. Defeating Diabetes; Cutting Edge Vegetarian Nutrition. Taipei, Taiwan (2009). Dietitians of Canada Annual Conference. Fine Tuning Vegetarian and Vegan Diets. Charlottetown, PEI (2009). World Vegetarian Congress. Big Blunders; Simple Solutions – Plenary Session. Defeating Diabetes. Dresdan Germany (2008). Dietitians of Canada Annual Conference. Defeating Diabetes: Lessons from the Marshall Islands. Winnipeg, Canada (2008). Marshall Islands Ministry of Health. Cardiac Counterattack. Majuro, Marshall Islands. (2008). The Health Professionals Forum – Penticton Health Center and Kelowna General Hospital. Defeating Diabetes: Lessons from the Marshall Islands. Kelowna and Penticton BC (2007). Ministry of Health Physicians and Health Professionals Conference. Defeating Diabetes. Majuro, Marshall Islands (2006). Physicians Grand Rounds. The Optimal Diet. Majuro Hospital, Marshall Islands (2006). 3rd Annual Nutrition and Health Conference – University of Arizona Program in Integrative Medicine. Plenary Session – Vegetarian Nutrition in Practice: Big Blunders, Simple Solutions; Breakout Session – Ask the Expert. Tucson, Arizona (2006). BC Interior Cardiology Update. Cardiac Counterattack. Kelowna, BC (2005). National Nutrition Conference of Belgium. Defeating Diabetes and Practical Issues in Vegetarian Nutrition. Brussels, Belgium (2005). 2nd Annual Nutrition and Health Conference. University of Arizona Program in Integrative Medicine. Plenary – Cutting Edge Vegetarian Nutrition. Tucson, Arizona (2005). Interior of BC Cardiology Update for Physicians. Cardiac Counterattack. Kelowna BC Canada (2005). North Dakota Dietitian’s Association Annual Meeting. Cutting Edge Vegetarian Nutrition. Grand Forks, North Dakota (2005). Coronary Health Improvement Project – Scientific Presenter. The Optimal Diet; Defeating Diabetes; Exploding Nutrition Myths; Cutting Edge Vegetarian Nutrition and Fine Tuning Fats. Vancouver, BC (2004). Diabetes Educators Update. Defeating Diabetes. Shawnee Mission Medical Center, Kansas City, Kansas (2004). National Institutes of Health. The Optimal Diet. Washington, D.C. (2003). State College Faculty and Staff In-Service. Defeating Diabetes. State College, PA (2003). 4th Annual National Nutrition Conference. Maximizing Essential Fatty Acid Status in Vegetarians. London, England (2003). National Institutes of Health. Defeating Diabetes. Washington D.C. (2003). Dept. of Family Medicine Grand Rounds. Cutting Edge Vegetarian Nutrition – SUNY Stony Brook Hospital, Long Island, New York (2003). Mather Hospital Staff Nutrition Update. Cutting Edge Vegetarian Nutrition; The Optimal Diet and Exploding Nutrition Myths. Long Island, NY (2003). Brookhaven National Labs Occupational Medicine Clinic. The Optimal Diet. Long Island, NY (2003). Occupational and Environmental Physicians of Michigan Annual Conference. Defeating Diabetes. Kalamazoo, MI (2003). Binghamton Hospital Physician’s Grand Rounds. Defeating Diabetes., Binghamton, New York (2003). Diabetes Education Center Long Island Update for Physicians, Dietitians and Diabetes Educators. Defeating Diabetes. Long Island, NY (2003). Center for Health. Defeating Diabetes. New Jersey (2003). Chestnut Hill Hospital. Defeating Diabetes. Philadelphia, Pennsylvania (2003). Cutting Edge Vegetarian Nutrition. Medical Update Conference . Brussels, Belgium (2003). The Fourth International Congress on Vegetarian Nutrition. Essential Fatty Acids in Vegetarian Diets. Loma Linda University, Loma Linda, California (2002). The American Dietetic Association Annual Conference and Exhibition. Becoming Vegetarian: what dietitians need to know. St. Louis, Missouri (2001). Convocation. Changing the World One Bite at a Time; Nutritional Assessment Workshops. Colorado Springs, Colorado (2001). National Nutrition Conference of Belgium – Fine Tuning the Fat for Infants and Children. Brussels, Belgium(2000). The American Dietetic Association Annual Conference and Exhibition. Omega 3, 6, and 9 Fatty Acids: What is the Optimal Balance? Atlanta, Georgia (1999). Beyond Borders: Joint Meeting of The Canadian Dietetic Association and The American Dietetic Association. The Ornish Program: 5 Years Later. Vancouver B.C. (1999). Integrative Medicine Physician’s Update. The Role of Diet. Pittsburgh PA (1999). B.C. Cancer Agency Health Professionals. Vegetarian Nutrition in Cancer Prevention. Surrey, BC – Video linked to other health sites (1998). Congres de Nutrition de l’union des Antilles et Guyane Francaises. Vegetarian Nutrition During Pregnancy, Lactation, Infancy And Childhood. Martinique (1998). The Third International Congress on Vegetarian Nutrition. Nutritional Assessment of the Vegetarian Diet. Loma Linda University, Loma Linda California (1997). Cardiology Updates for Physicians. 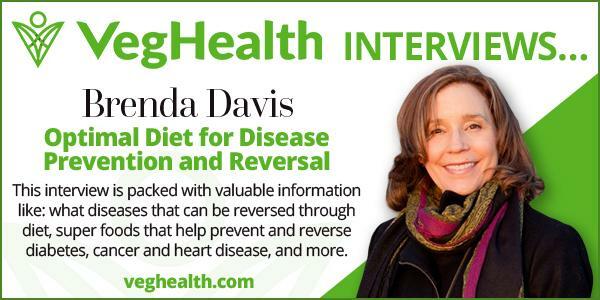 The Role of Diet in Heart Disease Treatment and Prevention. Several conferences in the Vancouver area (1995-1999).